Strange as it may seem, the Vlaamperd (Flemish Horse) did not develop in Flanders, but in South Africa. During the 19th century a distinctive type of horse came into being in the former Cape Province, namely the “Hantam Horse”, which was developed through the use of good quality Arabian and Thoroughbred stallions imported by Lord Charles Somerset in 1820’s. 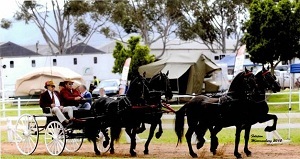 After the end of the Anglo – Boer war in 1902, some Friesian stallions were imported to South Africa by a Cape Town funeral undertaker. Apparently there was a prohibition on the exportation of Friesian horses from Holland by the Dutch authorities at the time. To evade this regulation, the Friesian horses were shipped from the Belgian harbour of Antwerp. As a consequence, these Friesian stallions were called “Vlaamse perde”, referring to the port of their departure. The name became generally accepted in the common language and also became the preferred term when referring to the offspring of these early imported stallions. 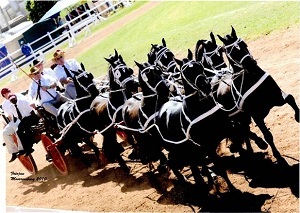 These Friesian stallions were used on the Hantam and other local mares and the progeny eventually became the foundation stock of a new South African breed. It must however be stressed that the Friesian was not the only breed to play a role in the creation of the SA Vlaamperd. An imported East-Friesian/Oldenburg stallion by the name of “Kemp” had a great influence on the breeding of the Vlaamperd in South Africa. There also was an infusion of some Cleveland-bay blood and even today, some of the Cleveland-bay can still be observed in certain Vlaamperd horses. A famous stallion, “Scheepers”, bred and owned by the family van der Merwe of Kwaggasfontein, Sutherland (1930’s) and sold in 1942 to Mr. H. Serdyn from Riebeek West in Boland, had the greatest influence on the breeding and development of the Vlaamperd. The Vlaamperd breed had its origin in the Western Cape, which is considered to be the mecca of this breed. The Vlaamperd is a truly dual-purpose horse. 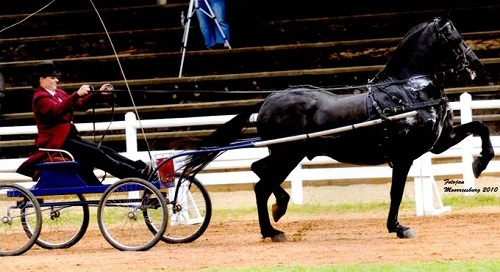 In harness it is almost peerless, with its graceful conduct and stylish high stepping action, while as a saddle horse its eminence is well-known to the most fastidious riders. The Vlaamperd is extremely adaptable in single and double harness, as a team of four and a team of eight. Its beautiful appearance and docile disposition, together with other qualities, make the Vlaamperd a very popular breed, for showing as well as for festivals, weddings and tourism. The main colour found in this breed is black, though pale-black and dark brown are allowed with mares. 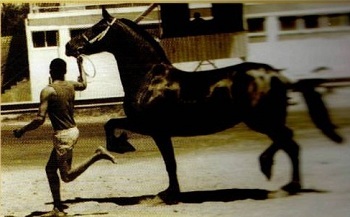 The ideal however remains a black horse. The Vlaamperd’s height is between 14.2 hand and 15.2 hand. It is a lightweight horse with a fine bone structure. The SA Vlaamperd Breeders’ Society was formed in Bloemfontein in 1983. 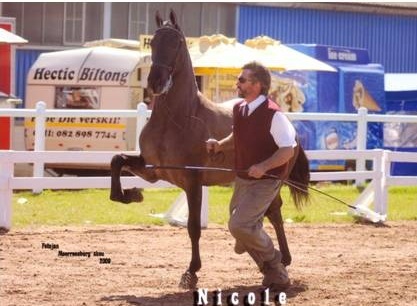 The South African Vlaamperd is an established, independent breed and is considered a precious asset of South Africa that deserves greater recognition.